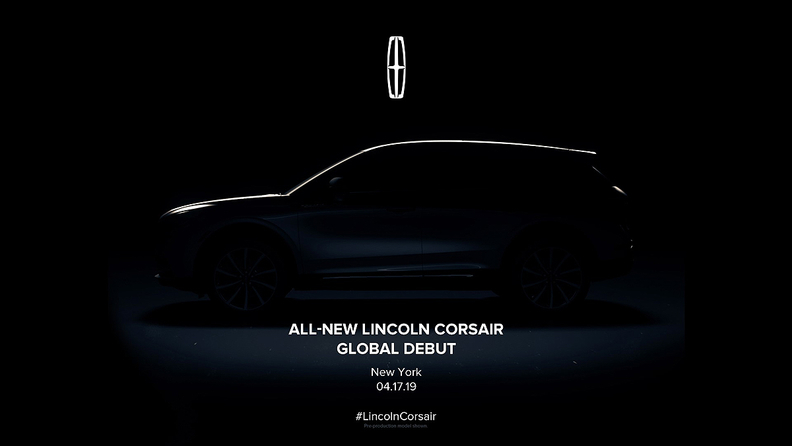 DETROIT -- Lincoln on Wednesday confirmed that the next generation of its MKC compact crossover will be renamed the Corsair, and it will unveil the vehicle next month at the New York auto show. Ford Motor Co.'s luxury brand showed a brief teaser video of the vehicle, which is expected to share a new front-wheel-drive platform with a redesigned Ford Escape. The automaker's New York show press conference is scheduled for 9:45 a.m. on April 17. Corsair, the name of a pirate ship as well as a World War II fighter plane, fits with Lincoln's embrace of travel-themed names for nameplates such as the Navigator, Aviator and Nautilus. Automotive News first reported the name change in June. The brand since late 2017 has been transitioning from the MK nomenclature it has used for more than a decade. After the Corsair arrives, only the MKZ and MKT will be left. U.S. sales of the MKC in the first two months of 2019 rose 28 percent from a year earlier to 3,523, according to the Automotive News Data Center. The crossover is Lincoln's top seller in China. The Corsair is expected to go on sale this year and is likely to include an electrified variant.